From the Pacific Ocean to the Rocky Mountains! From the wheat and oil fields of the Peace River to the Cariboo lakes! Contact a REALTOR® in northern British Columbia to help you find your dream! 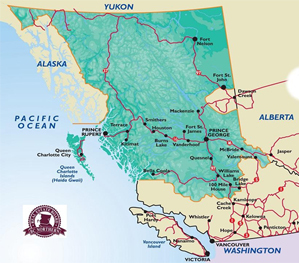 Whether you are searching for a peaceful lake, a remote wilderness retreat, a hunting or fishing lodge far removed from the bustle of the city, a home in one of our many small towns or in a more urban setting - your dream can be found in the vast expanse of northern British Columbia served by the members of the BC NORTHERN REAL ESTATE BOARD.